An large impressive original Victorian oil painting which was painted circa 1890 by Scottish listed artist Joseph Farquharson RA. This Romantic Scottish landscape view is in fine condition and is framed in a Victorian gilt gallery frame. He was a noted landscape painter of snow scenes around Finzean in Aberdeenshire and often painted at dusk or dawn. 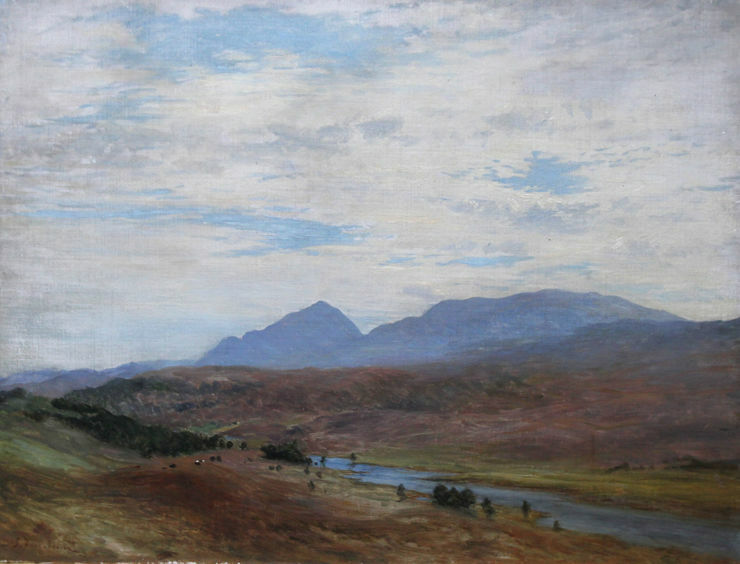 This painting however depicts a sublime Scottish river landscape with a river and the mountains in the background. It is a very expansive panoramic view. 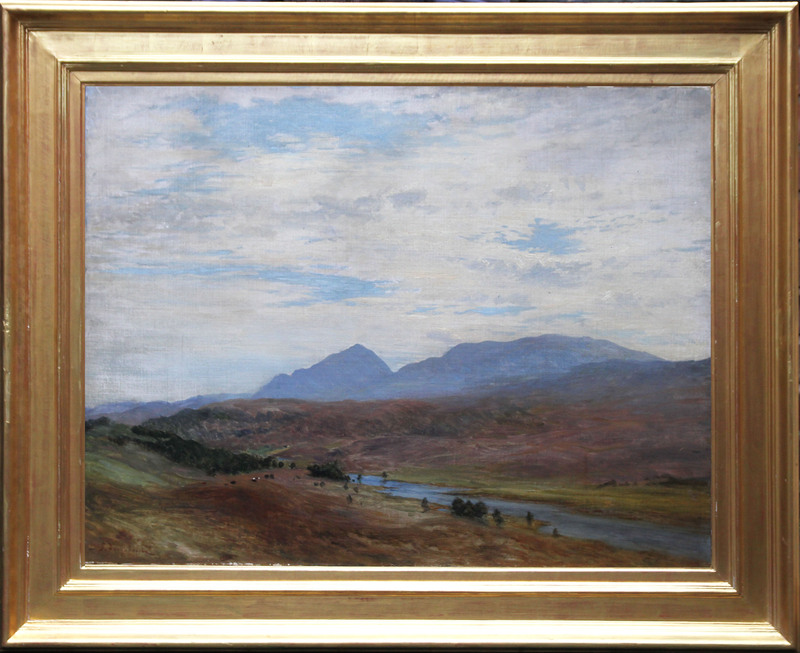 A large painting in good condition and a lovely example of a 19th century Scottish landscape. Similar examples of his paintings are on display in Kelvingrove Art Gallery Glasgow and the National Gallery Scotland.